One of the most frequent problems that my students face is that their fingers do not obey commands especially when it comes to changing chords. Somehow, the fingers don't seem to land in place or there might be some tricky chords which are really difficult to fret correctly. Wouldn't life be grand if you could play every single song ever known simply by placing your hand on the guitar? Sadly, music doesn't work that way, and eventually, you will need to learn to change chords. Luckily we can help give you some pointers that will make changing chords with fluency a bit easier when it comes time for you to learn guitar songs. Finally, practice. 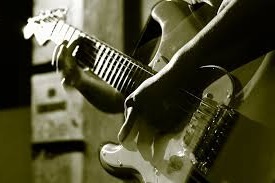 Practice is the key to success in every guitar technique. 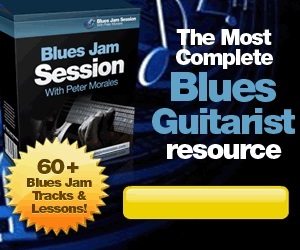 The only way you will truly be able to achieve perfect chord changes each and every time is through practice. The best way to practice is to start off small, switching between simple chord shapes, allowing your fingers to get the feel for the amount of pressure needed. Once you feel comfortable, then you can worry about tackling those mammoth chord changes such as a G Major to a G sharp major seventh. Don't rush, because you don't want to learn bad habits. Let your hands find their groove, let your digits feel out the scenery, and then allow yourself to sit back, relax, and change your chords fluently. With these beginner guitar tips in mind, check out the videos below for a presentation on good chord changing practices. 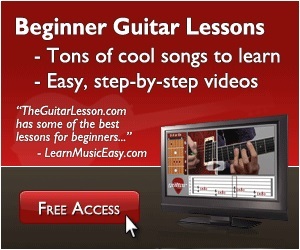 Learning guitar chords may seem tricky and confusing, especially for beginners. 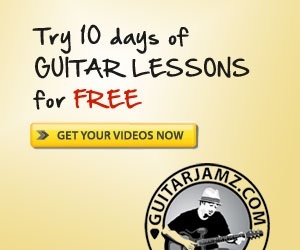 In the free guitar lessons here, we try and make everything as simple as possible for guitarists like you to learn more effective. Now, common sense would tell you that if you were to bend the 1st string downwards, the string would be pulled off the fretboard and vice versa for the 6th string. For newer players, do read the guidelines and avoid the common mistakes that most beginner guitarists come across when starting out. Keep those feedbacks coming in as it motivates us to write and create even better lessons for you to learn guitar online. Cheers!